When I first took up hiking as a pastime, I read a number of books written by long distance hikers about their experiences on the trail. My attention was particularly grabbed by those written by ultra-long distance walkers and I eagerly devoured stories of these seemingly unattainable adventures with one in particular firing my imagination. The book was 'Journey Through Britain' by John Hillaby and by the end of it, although I wasn't really aware of it at the time, the book had sowed the seeds of a life-long ambition. Over the years, I became a member and walk leader for my local ramblers group and also enjoyed some long challenges including Wainwright's Coast to Coast walk, a walk I have completed three times, the Southern Upland Way, Pennine Way, West Highland Way and most of the Cape Wrath Trail. Despite enjoying all of these superb and at times challenging walks, the idea of walking from Lands End to John O'Groats still lurked in the back of my mind and so it was that last year, I decided that I would attempt this iconic British walk starting in the summer of 2018. Although the start date is still to be decided, I plan to set off in the middle of July. 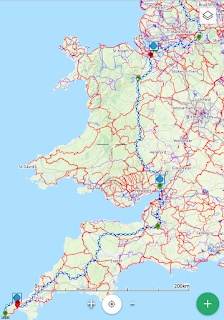 I have planned my route, (see photos) which I wanted to take in as many mountainous regions as possible but my original plan, which included the Cambrian Mountains in Wales, has been modified somewhat as the total mileage was touching 1400 miles, which I thought was excessive, so I have now changed the route to follow a large portion of the Offa's Dyke Path. My modified route is now around 1200 miles. 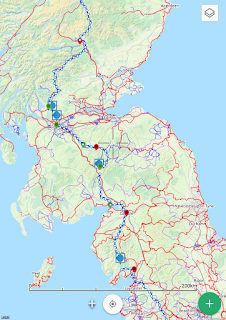 I will also be following the Cumbria Way through the Lake District, which although a fairly low level route, allows for interesting, high level deviations should weather and energy levels allow. The other area I was keen to walk in, as I have never walked there, was the Cairngorms. 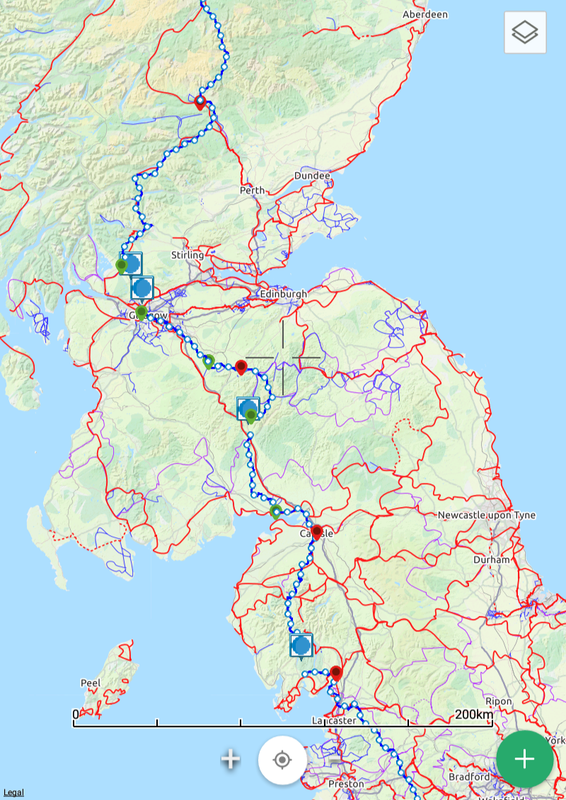 Being totally unfamiliar with the area, I liked the idea of a designated route through the UK's largest high mountain region but struggled to find one until I discovered the excellent 'Long Distance Walkers Association' website. 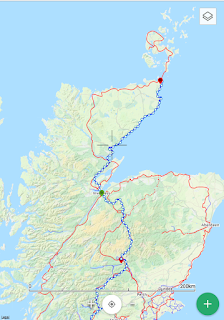 Here, I found a route called the East Highland Trail starting at Blair Atholl and passing by some of the UK's highest mountains to Inverness. 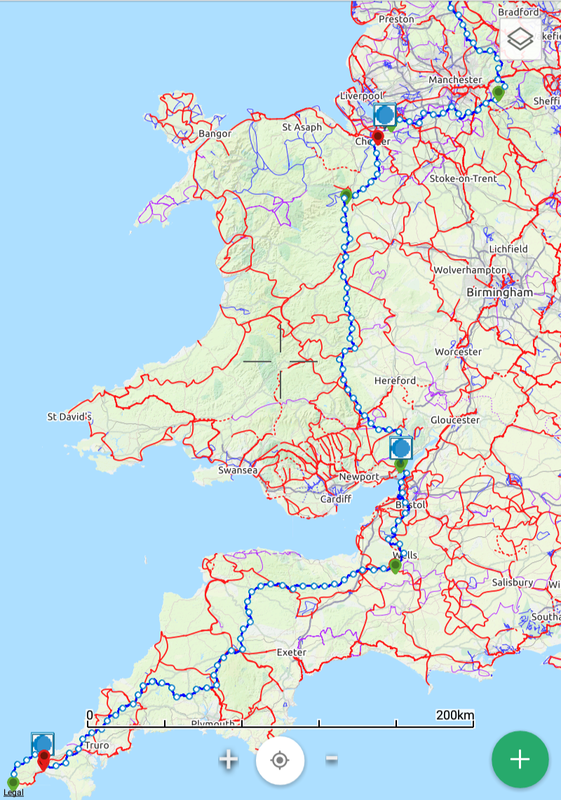 I have mentally divided the route into three stages, the West Country and Wales, Central England and the Lake District and finally Scotland. I plan to camp as often as possible and supplement this with occasional nights in guesthouses or hotels when the weather or my mood dictates. Looks like an incredible trip - wishing you the best of luck! Cheers, Fred.